Today in the Library we have Mary Grand, who has dropped in to say hello and to share some insights into her life as an author. I was born in Cardiff and have retained a deep love for my Welsh roots. 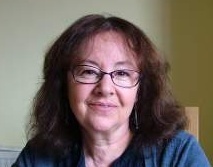 I worked as a nursery teacher in London and later taught Deaf children in Croydon and Hastings. I now live on the beautiful Isle of Wight with my husband, where I walk my cocker spaniel, Pepper, and write. I have two grown up children. 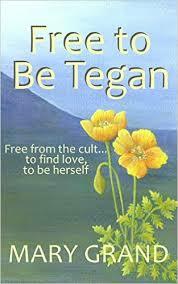 ‘Free to Be Tegan’ is my debut novel. It is to be the first of a series of novels set in Wales. The second will be set on the spectacular Gower Peninsula. As a child I loved Enid Blyton. Now I read each day and enjoy a wide variety of books. Recently I have read The Return by Victoria Hislop, Rebecca by Daphne du Maurier, Body on the Beach by Simon Brett, and Recipe for Life, the autobiography of Mary Berry. I am self – published. I write Woman’s Fiction. My central characters tend to be women at a crisis point of their lives. Joanna Trollope and Jane Austen are both authors I admire and both have inspired me to want to write accessible and interesting stories. Although I live on the Isle of Wight, my roots are in Wales. My debut novel Free to Be Tegan is set in the wild Cambrian Mountains, and the novel I am writing at the moment is set on the stunning Gower peninsula. I think one of the hardest things for me is to actually shut myself off from all the other things I could be doing. I have found having a routine has really helped. Now I walk the dog first thing and then aim to turn off my internet and settle to writing. Working from home can be challenging and I know some writers go out to cafes and libraries. However, for me, it has huge benefits, including warmth, comfort and free coffee. I think the morning is a good time for me. However I also get inspiration in the middle of the night and now keep a pad and pen next to the bed. One of the things I love about being an author is creating a whole world of characters and a life for them. I also enjoy researching the places I set my stories in. I really enjoy Facebook. I have made lovely friends in various groups who have been incredibly supportive and encouraging. If I wasn’t an author I think I would like to work with an animal charity or a bookshop. I think I would need to escape somewhere beautiful, maybe I would read The Shell Seekers by Rosamunde Pilcher. Would you like to tell us what you are working on or your latest published work. Tegan was brought up in a psychologically abusive cult. This is the uplifting story of her journey to find herself and flourish in a world she has been taught to fear and abhor. Guilt and shadows from her past haunt her in flashbacks, panic attacks and a fear of the dark. However, she also finds a world full of colour, love and happiness she has never known before. The story opens as Tegan, aged twenty seven, is cast out of the cult, rejected by her family and the only life she has known. She is vulnerable and naïve but she also has courage and the will to survive. She travels to Wales, to previously unknown relations in the wild Cambrian Mountains. The wild beauty of the hills, the people she meets and the secrets slowly revealed by the cottage all provide an intriguing backdrop to Tegan’s drama. The novel is set in spring. Although it grapples with difficult issues it is far more than a mere tale of survival. It is one of hope, new growth, of the discovery of self and the joy of living. Interesting interview. Have bought a copy after enjoying the sample. How do you pronounce the protagonist’s name? Does it rhyme with Megan? You will have to ask Mary!